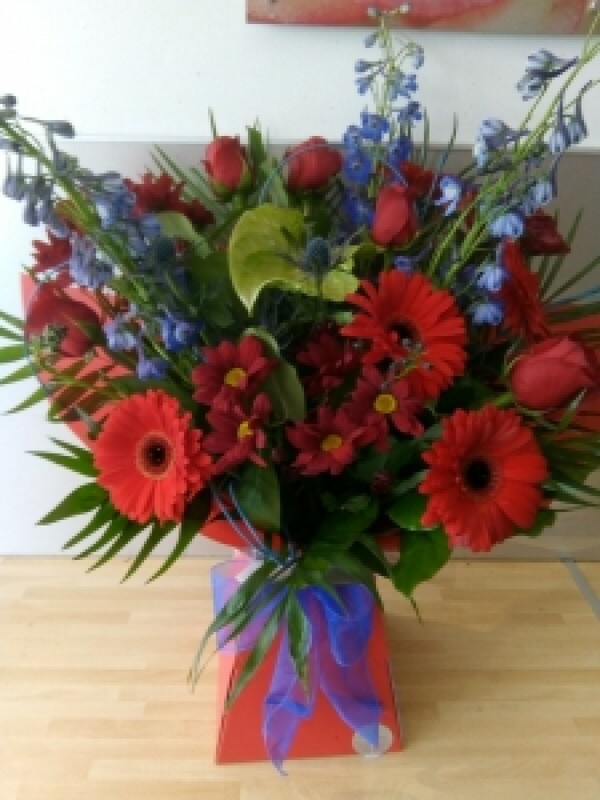 We love this bright bouquet using red roses, red gerberas, an anthurium as a focal flower and delphiniums to add a pop of colour. They are all arranged with some chrysanthemums and a mix of foliage and presented in one of our boxes with food and water for long lasting stems. Size shown is deluxe.